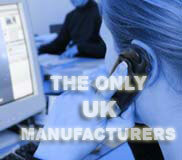 Original Video is the first UK and Ireland manufacturer of automated DVD and game rental machines. The company has over eight years experience in this sector, with over 500 outlets already operating internationally. Original Video was formed in 1999, with the first three years intensely dedicated to R+D and testing. Since then the company has grown rapidly and continues to do so. Original Video ended 2006 with a turnover of 4.2 million Euros, and is expecting further expansion in 2007. 2006 heralded the launch of Original Video into the UK and Ireland through a manufacturing site in Cheltenham, Gloucestershire. The first twelve months involved intense market research and product enhancement, enabling Original Video to adapt to meet the unique demands of the UK and Irish markets. The successful international growth policy has already taken Original Video’s unique products into the USA, Mexico and Portugal, with France, Norway, Sweden and Eastern Europe not far behind. Original Video’s success is down to the quality of the product, service and support that we are able to offer our clients. Original Video keeps the success of its clients in mind. As manufacturers of automated machines, we are continuously striving to improve our products. This enables us to offer a reliable and consumer-friendly system. The company's success is based on its policy of continuously investing in +D+I (Research + Development + Innovation) to stay ahead of the competition. A team of engineers, electronic & computer specialists and experts in robotics and electronics form the RDI department.